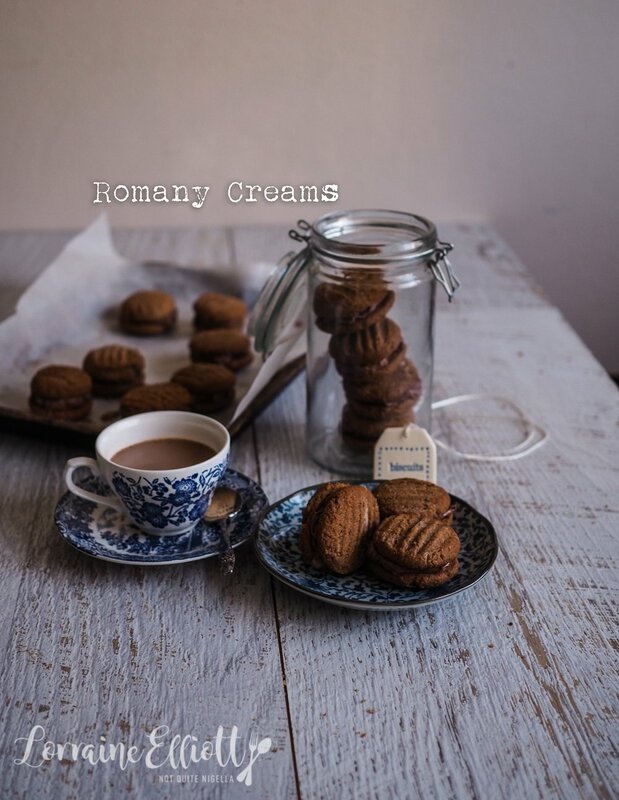 Bake your Day With These Romany Cream Cookies! 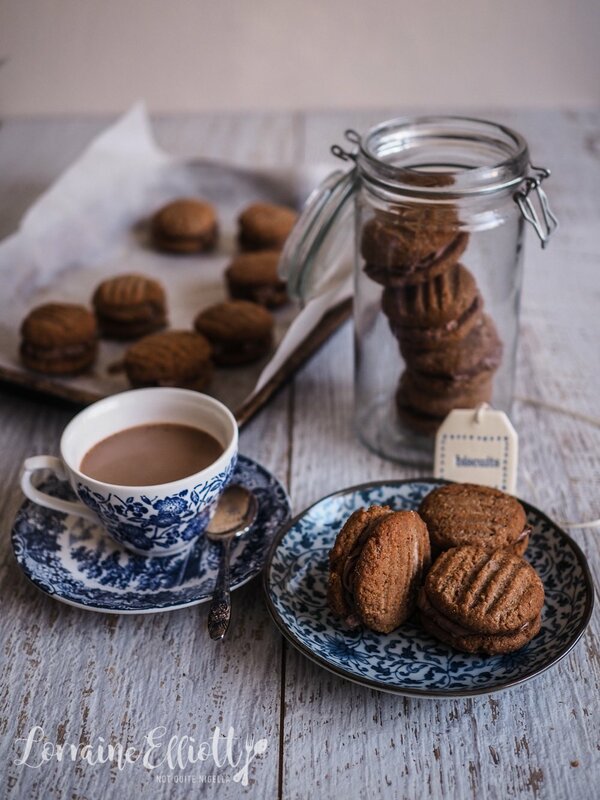 These Romany Creams are a classic South African sandwich cookie. Two chocolate coconut biscuits are sandwiched with creamy milk chocolate filling. They're moreishly good and like a cousin of the Australian Kingston biscuit and no less delightful! As soon as I saw the recipe on Tandy's blog for Romany Creams I knew that I had to make them. I really enjoy South African food and although I've only visited South Africa once, the South Africans that I have met over the years have been so friendly that I seek out their food, only to be rewarded with delicious treats. Originally Romany Creams were based on a cookie called Gypsy Creams with a similar biscuit but white cream to sandwich the halves together but it wasn't a great seller. Pyott's biscuits was a South African biscuit company originally founded by a Scotsman John Pyott. In 1965 his son Ian was in charge and he changed the biscuit and made the filling chocolate. Pyott's had a relationship with Cadbury who many say encouraged this filling change to chocolate. 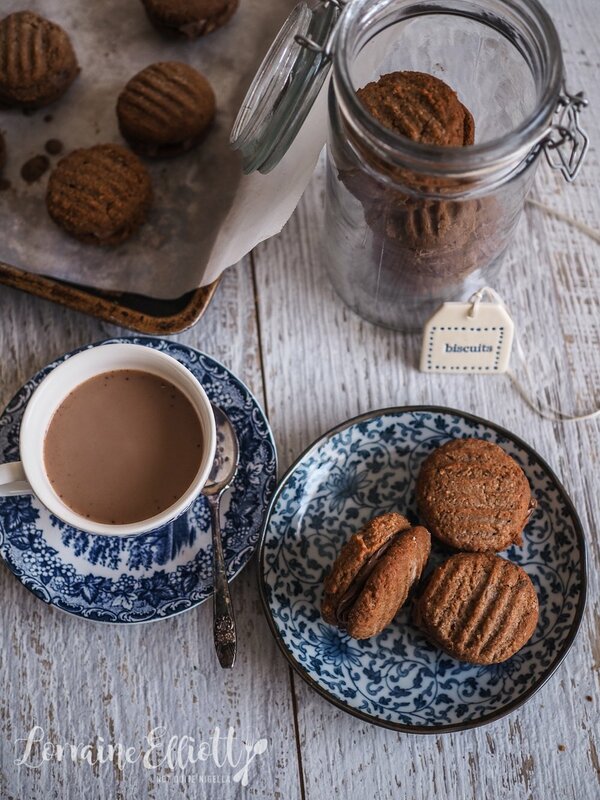 The biscuits were named Romany Creams as a nod to the heritage of Gypsy Creams and the Romany travelling community. And they became one of the most popular biscuits! Nina is South African so when I made a batch of these I asked her to test them out. You see I haven't actually tried Romany Creams before so I wasn't sure how much my version would be like the real thing. Tandy's recipe was straightforward although I adjusted it a bit. My mixture was very sticky so I added more flour and I changed the chocolate filling to be milk chocolate rather than Tandy's dark chocolate, just because I love the milk chocolate filling of a Kingston biscuit. 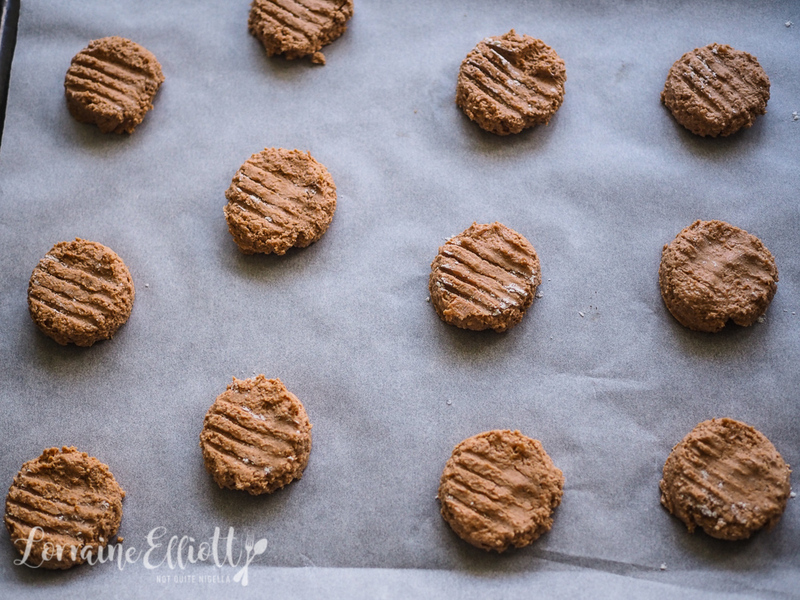 I don't usually like Dairy Milk chocolate as it's way to sweet for me but in this case, you definitely want to use it because it makes the most perfect filling for this biscuit. I had so many comments on the filling from everyone that received it. My mother (who does not give out compliments lightly) described them as "so delicious" and she loved the cream filling. I also gave a batch to Mr NQN's colleague Ruslan and his wife Anastasia. They've recently moved to Australia from Russia and they had to leave their little dog behind. The move has been a challenge on her as she doesn't work and doesn't speak much English and probably feels quite isolated. They were very eager to look after Mochi. Like most parents I find Mochi highly entertaining - I think she is so cheeky and funny she could headline a performance at the Enmore Theatre. One time I left her alone for 10 minutes while I searched the garage for Halloween props and she went straight to the kitchen, took out two packets of bagels and a tin of tuna from the shopping basket and tried to make herself lunch I guess! Mochi loves staying with them. They treat her like she is one of their own and any time we have to stay out late their response is that we should stay out as long as we want, they just love spending time with her! When I gave them the cookies, I wasn't sure how they would like them. But he sent me a message shortly after, "Did you cook these cookies yourself? They are awesome!!". So make these cookies for friends or family or anyone you want to say thank you to. This recipe makes a lot of them so it makes enough for you and lots of friends. I had enough to give cookies to four lots of people and then enough to eat on my own-Mochi staring pleadingly of course wondering why she couldn't have one! 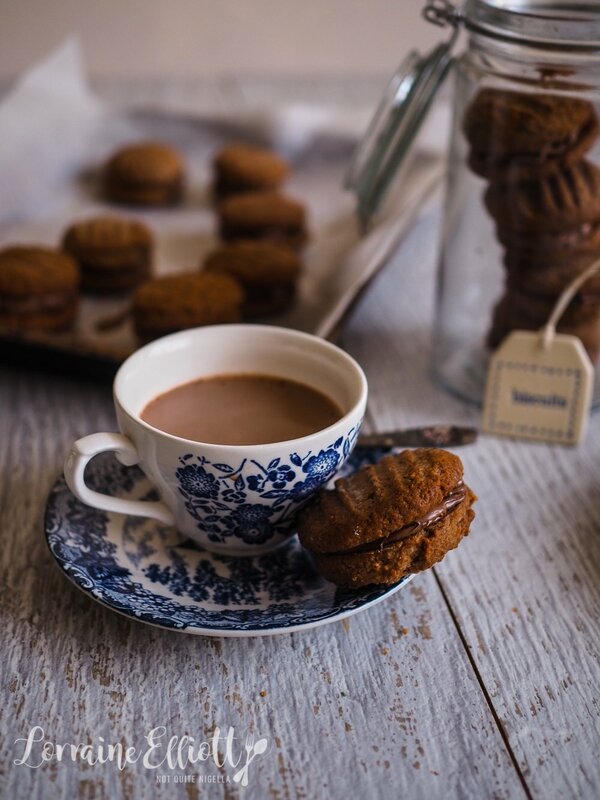 So tell me Dear Reader, have you ever tried a Romany Cream biscuit? Do you like Dairy Milk chocolate? Step 1 - Preheat oven to 180C/350F and line four trays with parchment. Dissolve cocoa in hot water and set aside to cool. Cream the butter and sugar together until pale. Add the cocoa mixture and beat for 1 minute. Then fold in the flour, coconut and salt until just mixed (add more flour if it is too sticky). Step 2 - Scoop out small balls the size of gobstoppers. Flatten with a fork dipped in flour and make sure they're spaced about 1.5 inches apart. Bake for 20 minutes or so-these are best when they are crisp and baking time depends on how big you've made them but make sure to bake them til crisp and slightly browned at the edges because they're best that way and don't really crisp up further on cooling that much. Cool for 5 minutes then place on cooling rack. Match similar sized halves together. 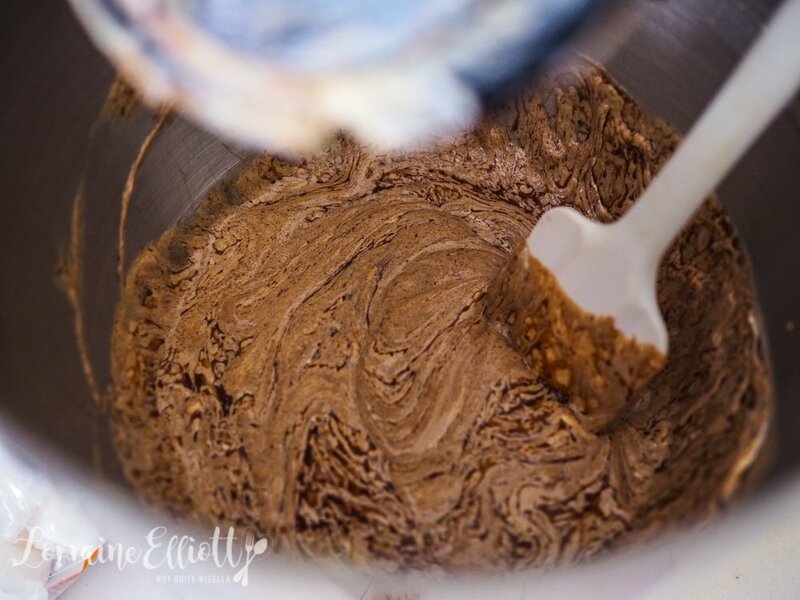 Step 3 - Melt the milk chocolate and coconut oil together until smooth. The trick to filling these is to set the chocolate until spreadable and not too runny. Allow to set in the fridge. Once they've set they can be kept at room temperature (as long as it isn't too hot where you are my darlings).